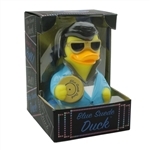 Our rock and roll rubber duck will bring sweet music to any tub and is an instant classic! "Thank you, Thank you very much." 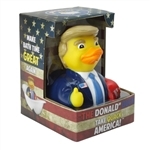 Take Quack America and Make Bath Time Great Again! We've done President Clinton and President Obama and now we have our new President. Cooking up some good stuff for the tub. 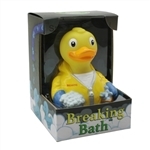 Gotta love those little blue duck soaps!